We offer Accurate, Reliable Aircraft Appraisal Services! To provide our customers with a comprehensive and accurate value assessment of the aircraft in today's market place. We can provide you with official Certified Appraisals or a Market Analysis of aircraft you are considering for purchase or determining value within a certain market category. 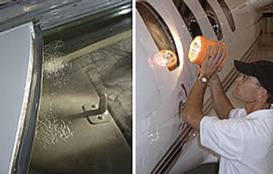 This approach to determine an aircraft's "fair market value" is accomplished by visual inspection of the aircraft. It will be inspected physically for damage, overall exterior condition and any visible signs of safety of flight. 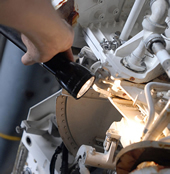 The interior and cockpit areas are checked for condition and cleanliness. Glass and Windshields are visually checked for crazing, cracks or de-lamination. If available, research is performed on the logbooks and or computerized maintenance reports for AD’s, SB’s and FAA 337’s. This is a desk-top report that will provide a lower cost estimate of the aircraft's market value with information provided by the client. It is done without a physical inspection of the aircraft or its Log Books. The report is a cost effective way to establish the general market value of an aircraft and is used by government agencies, banks for financing purposes and individuals wishing to sell or purchase an aircraft. All client information is considered confidential.